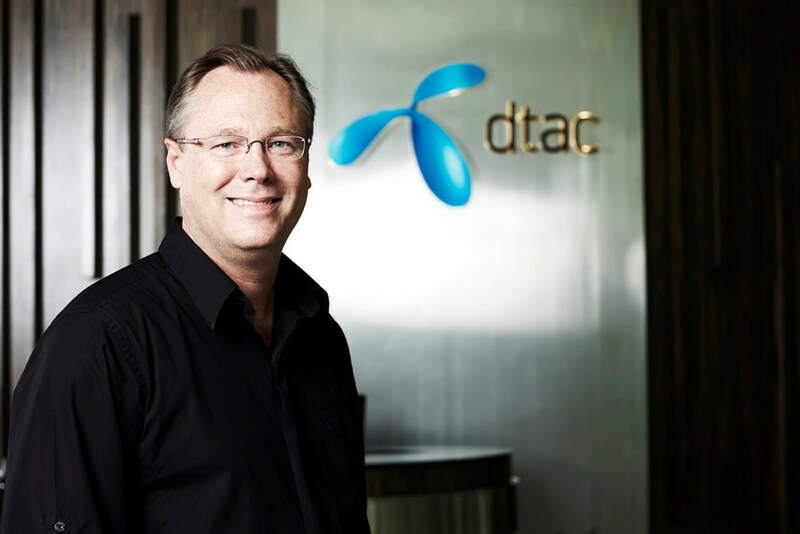 On 29 August 2013 Etsko Schuitema conducted an interview with Jon Eddy Abdullah, the CEO of DTAC, who shared some of his insights into applying Care and Growth in two Telenor businesses. The first business was Telenor Pakistan and the second was dtac, Telenor’s operation in Thailand. In both cases the interventions were particularly successful. You have to actually believe it and it has to be part of you. Jon: Thanks for having me here, Etsko. It’s great. Etsko: Jon, maybe if you could just , if you could just talk a little bit about the benefit that you have seen of the use of this stuff both in TP (Telenor Pakistan) and here at DTAC? Jon: Sure. Well, I think one reason that it’s successful is for years and years I’ve been managing and running companies and using my own techniques and sometimes I’m successful and sometimes not so successful, but generally I've been successful. But I didn’t know why. When I met you and started to study analytically how people respond to stimuli and how people respond to leaders in different characteristics, it matched very closely with what I was doing before. Jon: So I started to understand maybe more technically why these techniques were working, which creates confidence. I think any manager, leader that’s trying to fake it, or it doesn’t come true to their nature, obviously wouldn’t be successful. So, I think the first thing to say is that it lined up with the way that I was doing it before but I better understood it and I better understood why certain individuals were responding and others were not. So, I think that’s a very important starting point. The starting point is: you have to actually believe it and it has to be part of you. I think it would be very difficult to fake it and have the success that we’ve had. So that’s a starting point. Care and growth isn’t really just fake techniques and buzzwords. Jon: If we go back to Telenor Pakistan, interesting situation at the time that we met and first started to implement the techniques. 2008, 2009, Pakistan was under huge security challenges, no water, no power, really loss of faith in the government, and people were searching for something. So it was a really tough period in the company and in the country. And then we also had a company that was going from quick growth to maturity, so that’s dynamics that changes the fun. All of a sudden there are more controls that come in and different pressure points. So, how do you build this new thing? How do you instill something in people that takes us to the next level? And I think it was the right time in the country and the right time in the company because it was change. Jon: So we instituted this at a time of change. Maybe that’s the second point; makes it much easier. There’s a battle cry. So now you get into it. And I think the core of it to me is really telling people how people respond to stimuli, how they respond to actions, what are really behavioral things that people look at and natural responses. Care and growth isn’t really just fake techniques and buzzwords. It’s actually telling you things about what people expect and how they either do it or they don’t do it because they like it as a human being. And we really were clear with Telenor Pakistan and what was happening. We really worked with the staff and said this is what we want to do, this is why we want to do it and this is not a management technique. This is a tool that you can use and people got it. They actually went through the classes and they looked at it and they said, “Wow!” and then we started to really push it. Jon: And, no, it’s not luck. It’s actually practicing these techniques and from the top down and never giving up. Just say, “This is the way we’re going to do it. And it’s not a choice where you say you can or you can’t.” It has to be an initiative from the top that you keep going. And then it takes years. It’s a practice. It goes from one layer to the next. And you keep it up. The market share was extraordinary. Jon: By the time we left Telenor Pakistan I’m really proud of it, we were achieving goals and targets that were way beyond expectation. Meaning, it wasn’t driving to the target. It wasn’t the target itself, which obviously, you learn in Care and Growth. It was somehow we had created a machine. Jon: That was blowing through targets. Jon: And in this environment, which should have not allowed it to happen. Jon: Literally, security, and threat and power, and I mean literally every challenge I’ve ever seen was coming at us and no one cared about that. They just said, “Hey we’re going to get through this together,” and we got stronger and stronger. So that’s kind of the TP story. Etsko: What were some of the variables that you could demonstrably say, this changed? Market share? Was there improvement in market share? Jon: The market share was extraordinary. We were gaining market share. The revenue growth of the company was well ahead of the industry and expectations. Jon: We were able to lower cost in all parts of the business while everything was deteriorating. Some of the costs like electricity obviously went up because we didn’t have any, but, but literally everything that you measured was improving. Jon: And everyone goes, “Well how is that possible?" It’s because people are liberated. They’re actually doing what they are supposed to do and they are getting recognized for doing great things. And then it just starts to feed on itself. It doesn't really matter whether it's a start up or mature company. Etsko: Fantastic. And your experience here at DTAC? Jon: DTAC is a different company. Telenor Pakistan we started from scratch had a very unique culture, one single culture, very specific problem around security so everyone could focus on one issue. Here at DTAC we are a mature company. I’m in a mature country. There are new opportunities, but a different setup. We have cultural challenges here which really change the needs of the company and its leadership. We have a young organization along with an old organization so different dynamics. So totally, I would say totally different environment that we came into. But immediately, I looked at what we needed to do and it was like Care and Growth fits this too. It doesn’t really matter whether it’s a start up or mature or growing company. So we started and from day one, I think the first thing I told the company when I walked in the door was that we’re going to focus on management and leadership. That’s going to be a legacy that I’m going to leave behind. It’s not going to be about corporate targets and 3G and fighting with the regulators. It’s going to be about creating the best managed and led company in this country. So that was clear from the beginning. And then really getting into the structural process of care and growth training and teaching. Literally running the people through the process, coming from a much different view here in Thailand, culturally. There are some cultural challenges here that are much different than some countries, so for the first year it was just teach and train. The second year we started to see some traction and you see people using the language as a common vocabulary that you see in Care and Growth. So you see people start to talk about “Means, Ability and Accountability” and we start working on what does it take to hit targets. That became prevalent with everyone. So we probably had to do a bit more story telling here and practice a little bit more. But what was great to see is some of the managers and leaders took it really true to heart sooner, and became more successful. We started to see that early on. We must have just got lucky. Jon: DTAC was (doing better). And then we come into this year and just the last two quarters and the company is performing really phenomenal compared to our competitors. Our competitors are actually retracting a little bit. Economy isn’t so supportive. So it’s not great timing. The economy is a little bit sluggish here. But DTAC has gained market share, both quarters, has grown revenue ahead of the others and has improved really all of our measurables, and I’m talking multiple measures, ahead of the others. But it’s not about that. It’s about focusing on our structures and our people, using Care and Growth. It’s about what we did with that. Sure we improved the network, sure we improved our customer touch points, we did a lot of stuff, but if you don’t have an active workforce, that’s working together as one – we call it “One DTAC” here – with the same goal in mind, using the same techniques to recognize great work and also hold people accountable for non-good work, it just wouldn’t happen. Those ingredients would be there, but you wouldn’t bake a cake. Jon: So it’s working here, totally different dynamics than Telenor Pakistan. With outcomes being exactly the same. How you make sure that they understand within the context and the culture which you work? Etsko: Jon you’ve mentioned about sort of the cultural nuances from Pakistan to here. To what degree do people experience Care and Growth as if it were foreign and kind of European? Jon: Well, I think I’ve worked in five different locations now and the techniques that I used which are probably best described by Care and Growth used now, I’ve used the same. So, I don’t think there is a fundamental problem in any culture, West, East, Asia, American. It doesn’t matter to me. (Perhaps only) the story-telling changes. Jon: How you make sure that they understand within the context and the culture which you work? That changes drastically. From a Western standpoint, they could easily dismiss it as just another technique. And then you might have to go into some very blunt discussions, “This is exactly what’s happening. This is the psychology of it.” In Central Asia, probably quicker, very, very adaptive, they’re looking for something for an edge. They’re willing to try. So I felt Central Asia, in Pakistan, was much quicker. It happened really fast there. Asia was a little bit slower. I needed to understand how this is going to work. It’s a little foreign to the way they’ve always done it before. In this culture, that might be too sensitive. More specifically, (the issues) around accountability and how to really work one-on-one and for development. So I guess to sum up, it works the same in all locations, but I think that the story telling and the time that it takes and how you actually embed it into the companies can vary. Etsko: In terms of your experience of running senior teams – I mean if you were to be able to give advice to somebody in your position, might be a different industry, what would you say to that guy? So if you want this to work, then…? Jon: First of all, any advice I would give any CEO is the only competitive, sustainable competitive advantage you have, and I don’t care what industry you’re in – it’s your people, it’s your organization. And we hear this all the time. Everyone says that my people are important. And then when you actually look at what they do, they don’t do it. They spend very little on people development. They work very little on processes and people improvement. They do a little bit on leadership and management training. They do it but they are not ‘all in’. So, to me first thing is, you’re ‘all in’. I spend over 30% of my time on people development. And some months it’s more. So that’s hard-coated into my calendar, whether it’s using Care and Growth or coaching or it’s on organization development or change management. That’s important. What that immediately says to the organization is that it’s real. Etsko: This guy is serious. I think on the techniques itself – get familiar with it, understand it, and then make sure it’s anchored within you. It has to be clear; the intent has to be clear from the heart. For me, it’s very transparent. Everyone knows, this isn’t just something I do and teach and train because I think it’s the best way, I think it’s the way. So when I talk about it, people know that this is the way it’s going to be. And then I have a lot of experiences so I can tell stories about how it worked when times were tough. So I have a lot of reflective stories, and say you know just keep going. Little bit at a time, teach a little bit at a time. Care and Growth is a large volume of material. You can actually get lost in it if you try to do it all at once. So we are very focused. And I’ll just be very blunt about it. We work on Means, Ability and Accountability. I call that the circle of truth, really. So then I look at expertise development, management training, leadership training and cultural training – for the manager. So, that’s how I look at that. And that’s the hardest part, the people that are falling up short. And what I find most times is people aren’t consistent here. It’s difficult. They don’t want to have the conversation. And then they wait till the end of the year. And they give someone a zero and they wonder why that is difficult. So we try to encourage monthly training, coaching and making it small steps so that it’s always a development process. You don’t have to wait till it’s a huge problem. So I would say you have to be consistent. Deal with your coaching – Means, Ability and Accountability, keep addressing those issues through coaching sessions. Don’t let those things get too far away from you. And then you can just start layering things up. There are so many aspects of it that you can layer on. But (even) if you do nothing else but get Means, Ability and Accountability through a coaching format, I think you can get a long way down the road. ..the guys that are doing it, for some reason, they’re just getting luckier. Etsko: And how, with the benefit of hindsight, do you deal with the non-believer, so to speak? In every executive team, you’ll get three kinds of people. You’ll get somebody this makes sense to, they’re going to commit. You’ll get a guy who’s kind of, he’s just cosmetically there, he’s playing a game, and then you got a guy who’s really negative, I mean he’s anti. How do you deal with those people? Jon: Well first of all I don’t think you can ever get a hundred percent because one thing we know is that some people just don’t cut it. So, let’s deal with that group. First of all, let’s go back to Accountability. If it’s a direct report of mine, I normally have no more than six or seven direct reports, it’s pretty clear where you stand. So, the Accountability with my management team is whether they use Care and Growth. That’s a big part. And if we get down to measuring, it could be twenty or thirty percent of their bonus is on people development. And Care and Growth is the model that we’re going to use. So if they choose not to do it, they’re saying goodbye to a big chunk of the bonus. So, that would be a way to censure the situation. But they probably won’t make it with me, because that’s a non-negotiable thing. Etsko: So, you’d ask them to leave? Jon: It’s not cutting it, because it’s not that that employee is not doing it. He probably represents a hundred or two hundred and in some cases a thousand people. And I truly believe that these techniques really create great performance. So they probably won’t make it. So that’s, that’s the one group. Most of the people in the middle don’t have an answer for what the alternative is. Jon: There’s no “Well I want to do it this way.” That helps, because now you’re saying “Well if you don’t have an alternative, then why don’t we give this a try? What’s the worst that can happen?” And what I find is you start to see more and more migrations, but now it takes years. This is not something that happens in the course of a year or two. So it takes years and I think for senior leaders and managers, just don’t give up. That’s not going to happen. That puts infinite pressure on – “Well I’d better conform or my career is over.” And I hope they don’t think of it like that way, because at the end of the day we are trying to make them more effective in their jobs. Etsko: So, you are suggesting that if you want this thing to work, you as the CEO of the organization, you have to commit to the long haul. This isn’t a cosmetic thing. You’re not going to do an intervention in a year and fix the business. Jon: No I don’t think anything happens in a year in today’s world. I think you’re talking about cultural change, you’re talking about techniques, and it’s not only techniques, it’s “What do the masses expect?” And that can’t be flavour of the month. People are pretty smart. And if they see changes all the time, they’ll say, “Well let’s just wait till the next one comes. Well, I don’t like this one. I’ll just wait till the next technique that comes.” So if there’s a sustainable effort, they go, “Well this is the real deal. This isn’t going to change.” That helps. I think people understand it, and then take it seriously. So I think you have to be in it for the long haul. And I think any CEO would tell you, if it doesn’t come from the top, when you do these things, it has zero chance. It’ll be flavour of the month and people just ride it out, they’ll just do it their own way. In both TP and DTAC, it’s the other extreme. It’s the flavour of the day, all day long and it’s Care and Growth and this isn’t going to go anywhere. And we’re on it all the time. Etsko: I mean I’d like you to comment a little bit about the “stick-ability” of the ideas because with a lot of interventions, they very quickly become flavour of the month. How “stick-able” is Care and Growth as an idea, does it hang about? Jon: Anytime you do something in a big way, it takes a lot of energy, and time – its years. I don’t think you need to have it on top of everyone’s mind every day, I don’t think they need to be using the language and I don’t think you have to say, “What techniques did you use today?” What I look for is that people are doing it all the time and they don’t know why. They can’t explain it. Jon: Another piece of advice is that you have to at times inject energy into it. Let it go for some quarters, however we are doing and then pump it again. Whether you have a retreat, you refresh everyone together, and team atmosphere, use the language and use the techniques together, and then you let it go. Pretty soon it’s embedded and people just don’t even know they’re doing it. Etsko: That’s been fantastically useful. Thank you very much. Jon: Actually, thank you. I’m going back to the opening statements, a lot of time managers and leaders, they have techniques and they are good but it’s really nice once in a while when you can explain why you are doing the things you’re doing and why it’s working. I think the relationship between you and I has been that you have a body of work that really matches perfectly with the way that I think and what I was and how I was doing it. But now I’ve been able to perfect that. I think for me at the CEO level, that’s been very important. It’s given me a lot of confidence in how to really make change in big companies. And I can’t think of a situation that it would be too big or I couldn’t say, “We’re going to do it one more time.” You know, no challenge is too big. It definitely can work. Etsko: Fantastic. That’s very kind of you, sir. Thank you very much. It’s been an absolute honour speaking with you. To listen offline: get this transcription in .mp3 format. Total Access Communication Public Company Limited, commonly known as DTAC is the second largest GSM mobile phone provider in Thailand. DTAC is owned by Telenor both directly and indirectly. As of 31 December 2011, dtac had 23.2 million subscribers with the market share of subscriber at around 30%. Prior to his current position as CEO of DTAC, Jon Eddy Abdullah was CEO of Telenor Pakistan in 2008. From 2002 – 2007, he was Chief Technology Officer of DiGi Telecom in Malaysia. A veteran of the mobile communications industry who worked in the Czech Republic, Malaysia and Pakistan before relocating to Thailand, Jon Eddy Abdullah supports the use of mobile technology to promote education, health and social welfare and financial services so as to improve the livelihood of the underprivileged. He founded Pakistan’s Easypaisa mobile banking service when he served as CEO of Telenor in that country. This graduate in electrical engineering from Montana State University in the US is married to Tengku Noor Alina Tengku Ibrahim with two children.